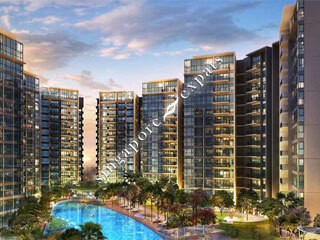 EIGHT COURTYARDS is located at 2 - 18B CANBERRA DRIVE in district 27 (Sembawang, Yishun) of Singapore. EIGHT COURTYARDS is a 99-year Leasehold Condo development consisting of 654 units. EIGHT COURTYARDS is completed / TOP in 2015 (estimated), developed by YISHUN GOLD PTE LTD.
Educational institutions like FUREN INTERNATIONAL SCHOOL, GEMS WORLD ACADEMY (SINGAPORE), SINGAPORE AMERICAN SCHOOL, YISHUN PRIMARY SCHOOL, AHMAD IBRAHIM PRIMARY SCHOOL and CHONGFU SCHOOL are near to EIGHT COURTYARDS. EIGHT COURTYARDS is accessible via nearby YISHUN, SEMBAWANG and KHATIB MRT Stations. This development has full condo facilities. The facilities are resort theme style. The landscape is filled with greenery and water features. I love the outdoor spa pools - simply enjoy soaking myself in the hot and cool spa pools after a day's work. A rarity in Singapore!